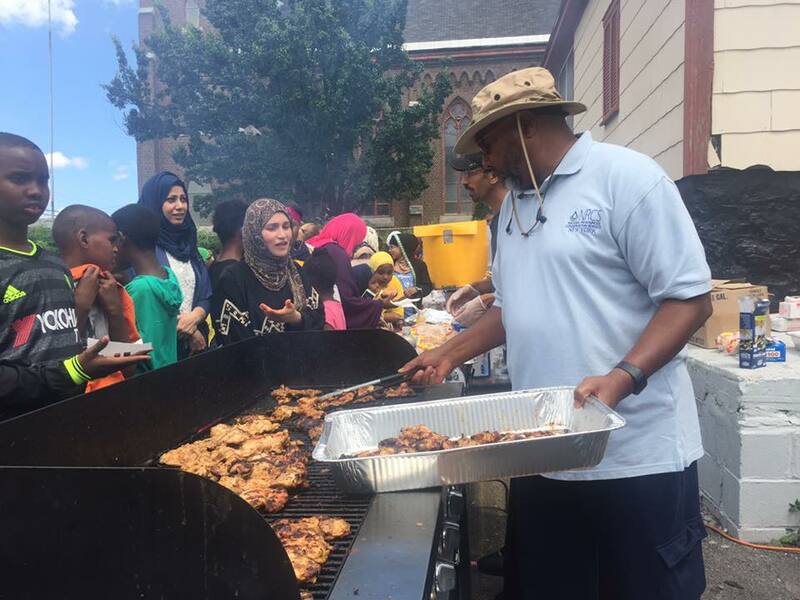 ZF Hosts Eid Festival in Syracuse, New York – Zakat Foundation of America (ZF) partnered with Masjid Isa, North Side Learning Center, and the Turkish Community of Syracuse, New York, to prepare an Eid festival for the local community. More than 300 people attended the festival, including refugee families originating from Syria, Somalia, Burma, and multiple African countries. Syracuse, located in central New York, has one of the largest concentrations of refugees in the United States. At the festival, adults enjoyed grilled barbecue foods while children snacked on cotton candy and snowcones. Activities included games, including a moon bounce, and goodie bags were distributed to all the kids. In Ramadan, ZF also provided an Iftar meal to more than 350 people (mostly refugees) in Syracuse.